Space allocated to windows differs across homes and offices – though most people prefer large windows. Our team at AluPure offers casement windows that will add a touch of elegance to give you the window and outside views you want. Our collections of bespoken windows are available in different colours and finishes. The appeal of our windows is timeless and you can explore several options while choosing them. Height and width vary as per personal preferences, but our aluminium casement windows are customizable which means that they can be installed anywhere to suit various architectural styles. The load-bearing capacity of the windows enables designers to play with sizes and designs. Each window is perfectly tailored to ensure that the structural elements are well-preserved. 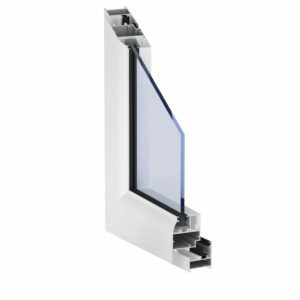 Corner profiles and connectors increase the strength of the frame giving the windows and the building long-lasting durability and stability. Embedded locking mechanisms offer better security than the traditional windows. The locks of our casements windows come in the shape of hooks that are embedded deep within the frame, thus, making them inaccessible to intruders and ramping up the level of security within. Easy to open and close, casements windows offer the highest level of energy efficiency. 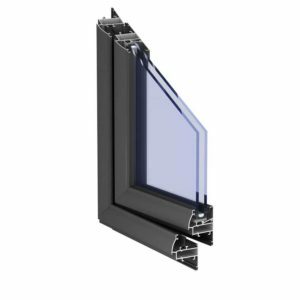 In addition, the window sash presses itself tight against the frame after being closed, thereby providing enhanced thermal insulation and better resistance to both water and dust. We serve a range of sliding and casement windows depending on the choice our customers have and on the kind of style they wish to flaunt. Our windows are available in different colours, designs and styles, giving our customers the freedom to express their ideas. Rest assured, our quality and range is backed by costs which will keep you happy and stress-free for life.